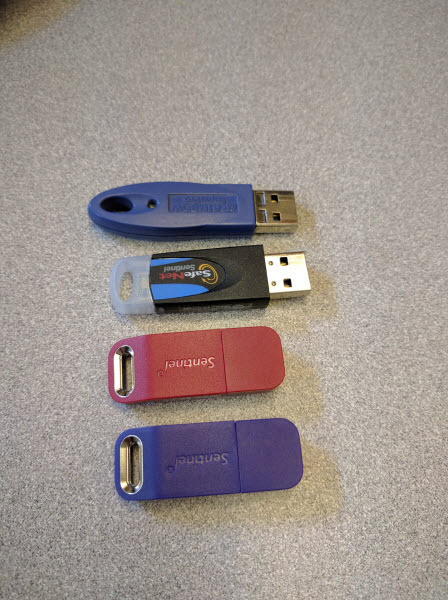 QuoteSoft uses two different style of security devices. Images of them both are shown below. Your security keys should have tags attached to them, if not it is recommended that you label them for clarification in the future. Our support hours are from 6:30 a.m. to 4:00 p.m. Pacific Time, Monday through Friday. Please allow 20 to 30 minutes for response during business hours. If it’s been a more than an hour, and you have not received a response from us, call us! It’s very likely that your message or our response got waylaid by the Internet.